My name is Glenn Yu and I’m a student at South Kingstown High School. 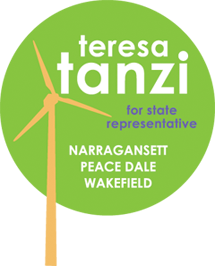 As the president of the Student Council, I was in charge of organizing a debate between Stephen Tetzner and Teresa Tanzi, the two candidates for State Representative in District 34 representing Narragansett, Wakefield and Peace Dale. On Sept. 17, I called Tanzi who was eager to debate Tetzner. The date seemed set; all that was needed was confirmation from Tetzner. That night, I called Mr. Tetzner’s campaign adviser, Tony Pesaturo; I explained to him I was calling on behalf of the school and I was trying to plan a debate with Tetzner and Tanzi, something Tetzner has continually asked for. However, upon calling Pesaturo, it seemed that Tetzner did not want a debate. He told me how demeaning it was that a student “would have the nerve to call [him].” To this, I reacted calmly and told him that there was no need to be rude, to which he laughed at me and ridiculed me further. I finally told him that Tanzi would contact him to negotiate the debate. About an hour later, I received another call from Pesaturo. (I recently learned this call was actually a pocket dial.) I picked up the phone and said “Hello? Are you there? Hello?” On the other side of the line, I heard Pesaturo mumbling profanities over and over again. He finally picked up the phone and said “Hello, who is this?” I was confused because he had called me; and this confusion quickly turned to anger when he began to insult me once again. This time, I was not so calm in the phone call. I told him that he was alienating his own voters by disrespecting me; and he responded that I was only in high school and could not vote. To that, I responded “I’m not an orphan. I have parents that can vote.” Which, in hindsight, I am very proud of. On September 19, I called Tetzner to set things straight. Tetzner apologized for Pesaturo, who he told me was a “hired campaign consultant,” and was not representative of his campaign. He said, however, that he would not debate Tanzi because he did not think the debate moderator was professional enough. The debate moderator was to be Professor Maureen Moakley from the University of Rhode Island, a former Department Chairwoman of Political Science who hosts political commentary on Rhode Island PBS and Rhode Island NPR, and was a panelist for all of the gubernatorial debates. Tetzner continued by arguing the debate needed to either be informal (with a civics teacher as the moderator) or professional (with a professional moderator like Ted Nesi as the moderator). I told him that I would discuss the issue with my teachers. Two days after the call I had made to Tetzner, a flier was sent to my house. In the flier, Tetzner made the claim that “[Teresa Tanzi] would rather a high school civics teacher conduct “the event” rather than an experienced moderator,” a statement that was untrue because the moderator was supposed to be Moakley. However in his defense, he had sent the flier before he had all of the details of the debate and believed the debate was to be hosted by a high school civics teacher. Yet, Tetzner, since sending the flier, has not made an attempt to correct his statement. Moreover, he had just informed me a few days earlier that he would prefer a civics teacher over Moakley. Another point in the flier that was sent to District 34 voters is that “[Teresa Tanzi] wants to take questions from high school students – non voters – instead of the taxpayers, homeowners and businesspeople affected by our critical issues!” The fact was the students in our school had put in hours of research into creating questions for the debate, time which will not be given back to them. The students (future taxpayers, homeowners and businesspeople) were to create questions that would be debated in front of adults and members of the community. While I have remained impartial, I will show my immaturity for a brief second and insert an opinion. Pesaturo had shamed me because I was a student. He thinks it is OK to alienate students because we cannot vote. When Tetzner called me and told me that Pesaturo was not representative of his campaign, I believed him because he seemed sincere. But the fact is, Tetzner’s actions have not reflected this sincerity. The fact is that he tricked and used me, my friends and my teachers so he could send a low blow to Tanzi. The fact is that this embarrassing experience has been a learning experience for me, a firsthand experience about how politicians will do anything to get elected. At the top of Tetzner’s flier, it says in bold print, “Actions Speak Louder Than Words.” Well, it seems Tetzner has spoken. The author is a student at South Kingstown High School and president of its Student Council.